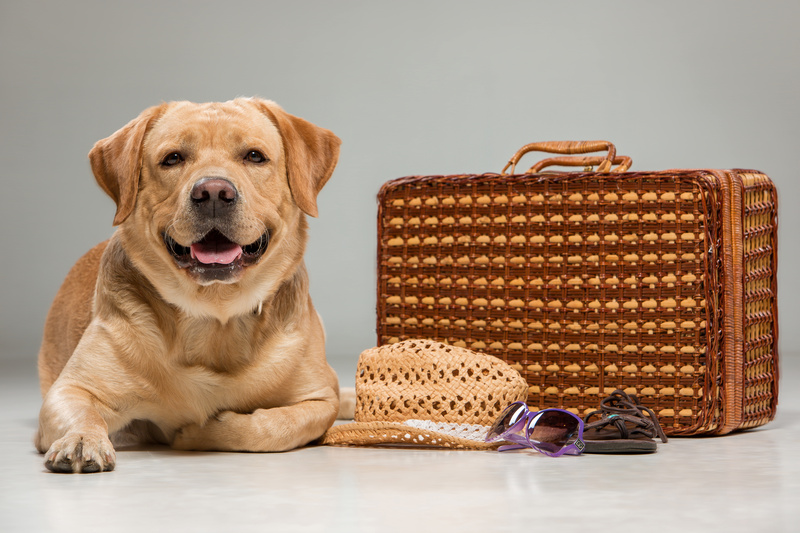 Travelling abroad with your pets is much easier than it used to be thanks to the Pet Travel Scheme (PETS) and the introduction of the Pet Passport, which was first launched in 2000. This means that as long as pets fulfil the criteria and have all necessary documentation, they can travel between member states without the need for long, stressful and expensive stays in quarantine. Before PETS was introduced, any dog or cat coming into the UK had to spend six months in quarantine to ensure that they hadn’t picked up diseases on their travels, primarily rabies. The scheme has rolled out to now include dogs, cats and ferrets and means that within the EU, and various other participating countries,these pets can travel much more freely. This has made going on holiday or travelling for other reasons with your family pets a real option for many people now. What is required for a pet passport? 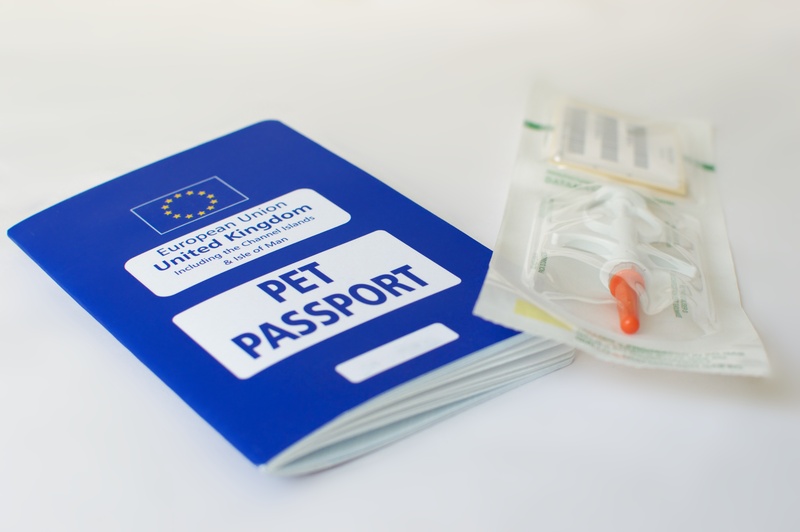 Pet passports are not completely standardised across member states so the requirements can vary somewhat depending on which country your pet is travelling to, making detailed research a must to ensure you have the correct information for every country you will visit. However, there are common elements in all countries’ schemes and if your pet will be returning to the UK then there are certain criteria which must be met under UK customs law. There is also a minimum age at which pets can travel abroad as they cannot have the rabies vaccine before they are typically 3 months old. Fulfilling all of the criteria for a pet passport usually costs in the region of £200. The requirements do differ somewhat depending on which countries you are travelling to and/or from, which can cause some confusion. You need to find out if the country you are visiting is within the EU or a listed country – or is an unlisted country. A list is available here. You will need to start the process at least a month in advance of travelling in order to fulfil the criteria. Your pet must be up to date with usual annual canine vaccinations and be at least 15 weeks old. Speak to your vet to find out if they are able to issue pet passports. If not, they should be able to let you know of another local practice which can. The vet will provide the necessary paperwork to start the pet passport process. It it isn’t already, your pet must be microchipped. The microchip’s unique ID must be given to your vet to fill out on the passport paperwork. If your pet has been microchipped previously, check that the chip is still functioning by asking your vet to do a test scan before proceeding any further. If the existing chip can’t be read then your pet will need to be microchipped again. Your pet needs to be vaccinated against rabies by your vet. This must be done after your pet is microchipped. After the vaccination, you will need to wait for at least 21 days before travelling. This count starts from the day AFTER the rabies jab is given. If you are coming from a listed country (not applicable within the EU) back to the UK as part of your travels then you will also need to fill out a declaration form confirming that you are not going to sell or transfer ownership of your pet. For dogs who are entering the UK, e.g. returning from a trip away with their owners, they will also need to be treated by a vet for tapeworms between 1 – 5 days (24-120 hours) before they re-enter the United Kingdom and details recorded by the vet in the pet passport documentation. For most owners travelling with their dogs for longer than a few days, this means they need to find a PETS certified vet in the country they are visiting to administer this treatment at the appropriate time before they return home. This should be looked into before travel to ensure that a suitable vet and appointment are available. Your pet must return to the UK via one of the approved routes in order to avoid the need for quarantine. Full details of which can be found here. In order to get a passport for your pet for travel outside of the EU and return to the UK, you will need to start the process at least 4 months before you plan to travel to fulfil the necessary criteria in the allowed timeframe. The usual vaccinations should be up to date and due to the various criteria involved, pets will need to be at least 7 months old before travel. 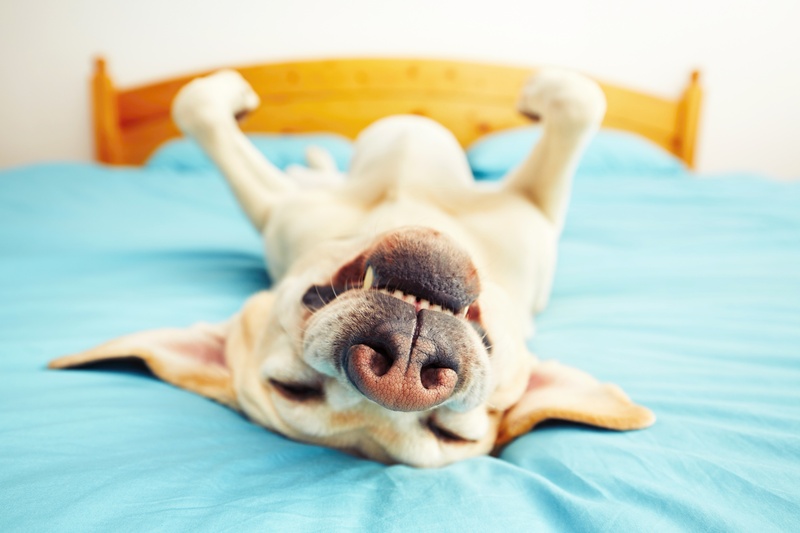 Find a veterinary practice which can issue pet passports. The vet will provide the necessary paperwork to start the pet passport process. Your pet must be microchipped, usually carried out by a vet or vet nurse at your request if not done already. The microchip’s unique ID must be given to your vet to fill out on the passport paperwork. If your pet has been microchipped previously, check that the chip is still functioning by asking your vet to do a test scan before proceeding any further. If the existing chip can’t be read then your pet will need to be microchipped again. Your pet needs to be vaccinated against rabies by your vet. Pets can’t have this vaccine until they are at least 15 weeks old. At least 30 days after the rabies jab, the pet must have a blood test carried out by a vet and validated by an accredited lab to ensure that the vaccination was successful. Your vet can then issue you with the pet passport paperwork. You must wait at least 3 calendar months after the date that blood was taken before you travel. You will need to fill out a declaration form confirming that you are not going to sell or transfer ownership of your pet. For dogs who are entering the UK, e.g. returning from holiday with their owners, they will also need to be treated by a vet for tapeworms between 1 – 5 days (24-120 hours) before they re-enter the United Kingdom and details recorded by the vet in the passport documentation. For most owners travelling with their pets for longer than a few days, this means they need to find a PETS certified vet in the country they are visiting to administer this treatment at the appropriate time before they return home. This should be looked into before travel to ensure that it is possible and preferably an appointment pre-booked with the vet. You must return to the UK via one of the approved routes in order to avoid the need for quarantine. Full details of which can be found here. Although the PETS system can seem complicated it does offer pet owners the freedom to choose whether they want to take their pets with them when they go abroad. Speak to your pet insurance provider to check that the coverage includes the country that you’re visiting. Often it can be extended to cover various countries to make sure that you have peace of mind as you travel. The most important thing when planning a trip abroad with your pet is to fully research the rules of each country you visit well in advance of travel and to ensure that the stringent UK requirements are all met before you return here to make sure there are no nasty surprises or penalties when you get home.